Happy New Year! It has been a long time since i updated my blog. Its not that i havent found any interesting articles to blog about, its just that i have been busy traveling a lot. Then came the holiday season, and then new years. Anyway, i'm back and this is my first blog for this year. The holidays are always a big season for the movies everywhere in the world. The next time you decide to see a movie, you might see one of these parked around the corner from your house. 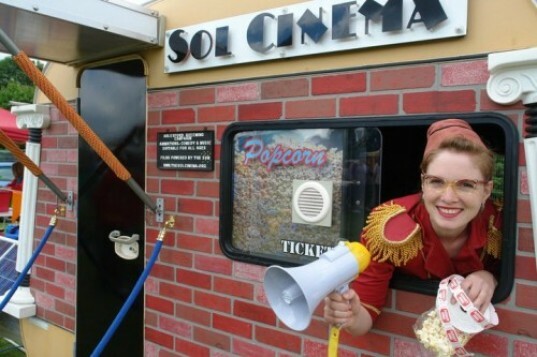 The world's smallest solar powered movie theater. 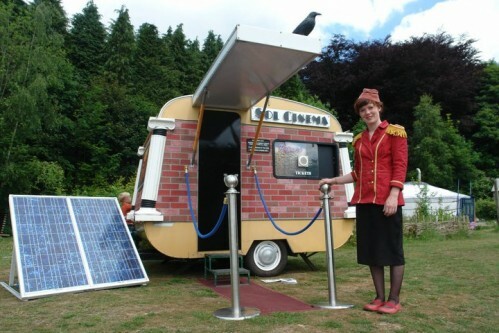 Artist Paul O’Connor and his colleagues at the British art collective Undercurrents built a tiny solar powered movie theater in a 1960s type travel trailer. The Sol Cinema is a mini, well actually i should say a micro, movie house powered entirely by free clean and green energy. 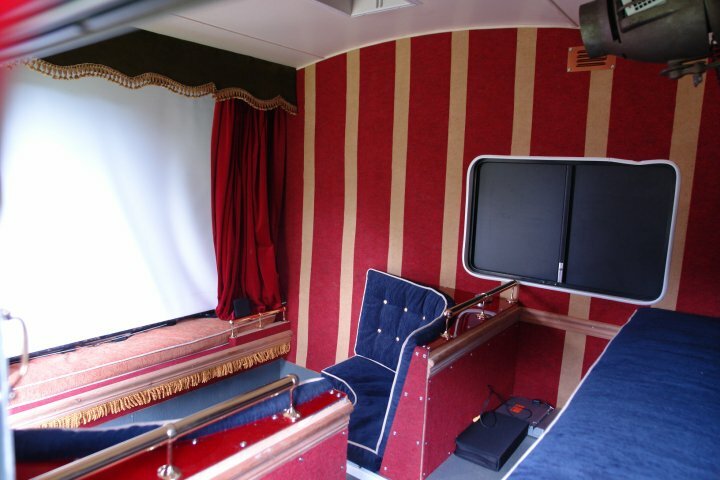 It can seat 8 adults or 12 children comfortably, for an unique cinematic experience. Equipped with a full library of comedy, quirky, music videos and short films with inspiring environment themes. It might not be the best theater to watch Avatar or a Michael Bay's movie but Sol Cinema is an ideal solution for showing short videos within your community, small festivals, events or parties. Although the inside looks like a movie theater built for umpa lumpas and hobbits, Sol Cinema claims that it can actually fit 8 adults comfortably. Right now, its only available in the UK but we can expect it to pop up all over. I can imagine a movie theater on every street corner in the suburbia. The official website provides additional photos as well as a list of tour dates and locations in the UK. Nice Information. Get free movies from Solarmovie.